Barter Books : Dresser, Henry Eeles; Keulemans, J G et al [illus.] 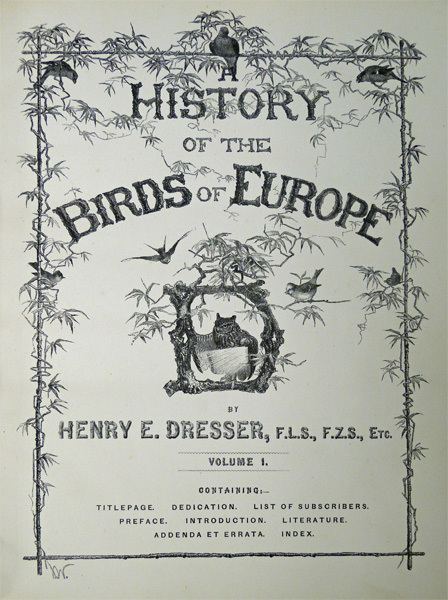 : A History of the Birds of Europe. 8 volume set. 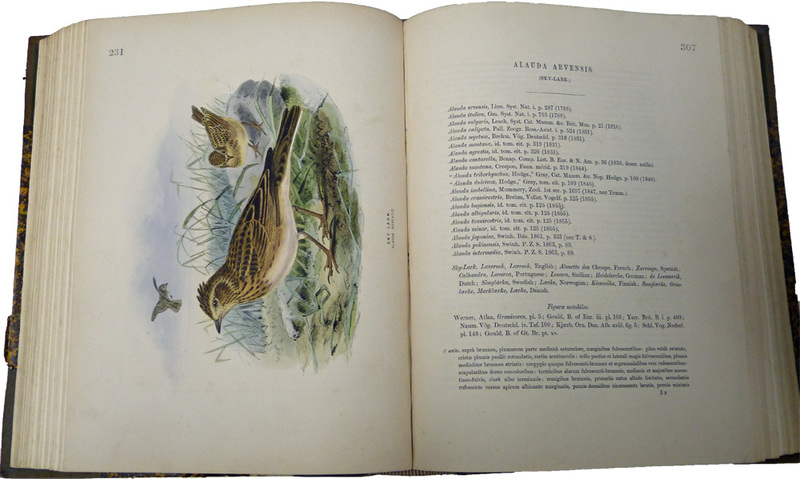 631 hand-coloured plates by J G Keulemans et al + 2 b/w plates. 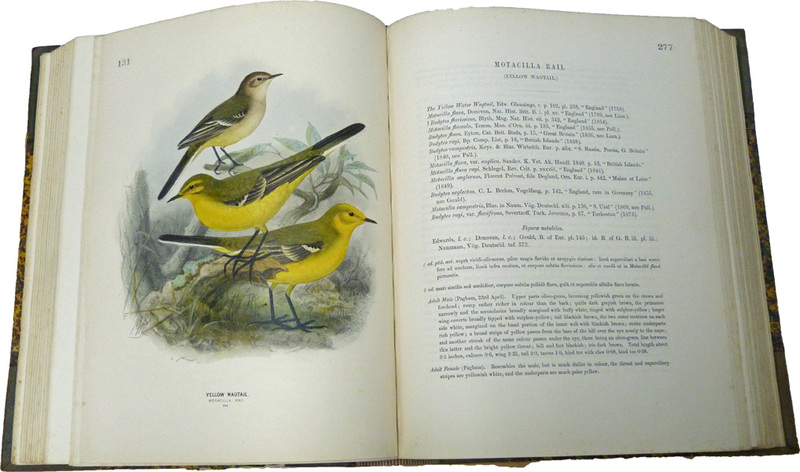 320 x 250 mm (13 x 10 inches) - xlvi, 102pp; 644pp; 620pp; 632pp; 668pp; 708pp; 660pp; 666pp + indexes and plates. Green hardback tooled half-leather cover with marbled boards. 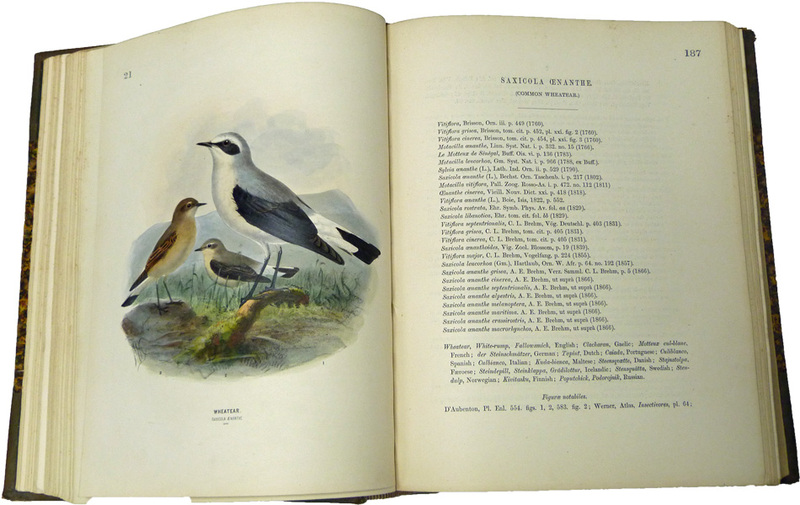 VG : in very good condition without dust jackets as issued. Spines faded to brown. Occasional light foxing. Faint offsetting to a few plates. 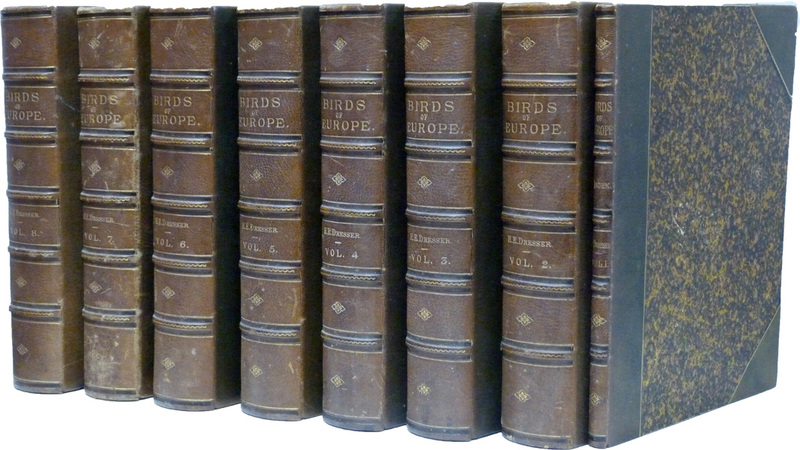 8 volumes set, published 1871 - 1881. Later supplement (volume IX, 1895) not present. 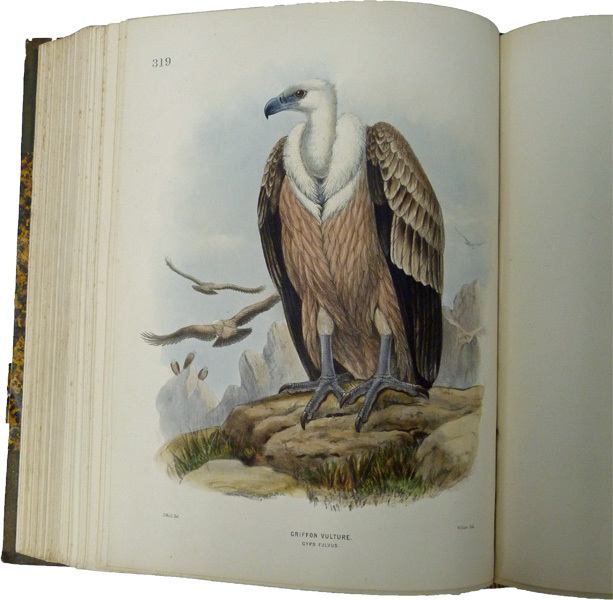 Lithographs by Hanhart.